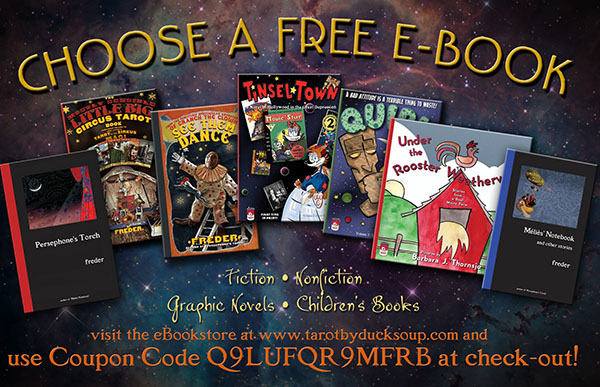 News, Previews, Items of Interest -- and a Free sBook! HELLO, and here’s what’s in the Can for the month of December! 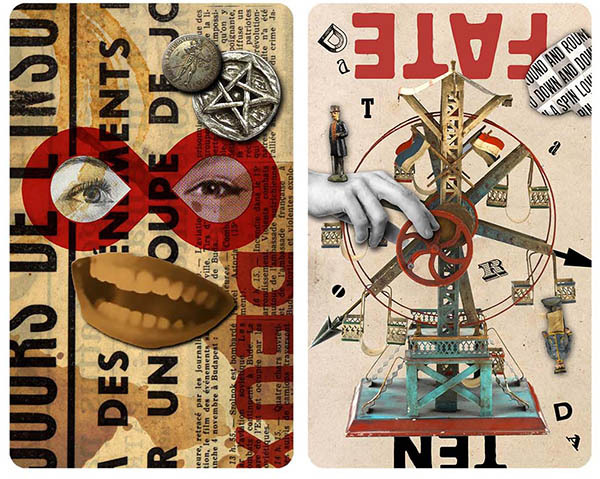 The Kickstarter campaign to fund CROOKED WAY TAROT will launch shortly after the 25th. This full-on Gothic-themed Tarot pack is dark as pitch, leavened by the kind of dry humor that Edward Gorey was famous for, and designed to be useful all year ‘round by practitioner and novice alike. It will be produced to the same specifications as last year’s TRICK OR TAROT: in standard and Deluxe limited editions. You can preview the card designs here. The Kickstarter will run from late December through late January, and if it’s successful the finished decks should be along sometime in May. By pre-ordering via the Kickstarter, you get a special price on the deck AND help to make it possible! Here in the purgatory that is central Maine, Winter is just getting started. I understand that there are some folks out there who actually like this stuff. I'm not one of them. But I have developed a number of strategies to deal with light deprivation and winter depression. First, I no longer set the clocks back to standard time along with the rest of the world. That's right: it remains DST (that's DuckHaus Standard Time) for me all year 'round. Second, I keep my Halloween lights up and use them all the way through until Spring. It's just cheerier that way. 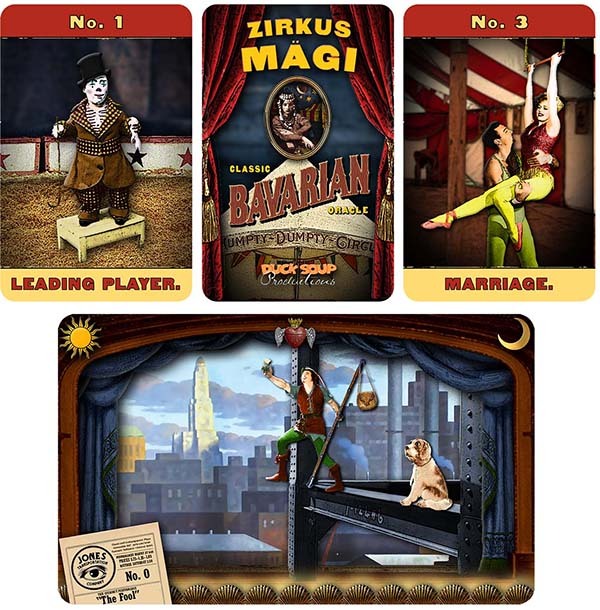 I’m always happy to revisit the circus, and ZIRKUS MÃGI CLASSIC BAVARIAN ORACLE is the latest iteration of the most magical circus of them all. Yes — it’s a Kipper, but I’m not calling it that… To me, a kipper is a fish! This next project is so new that it doesn't have a home on the website as yet. The notion of "Tarot as Theater" has intrigued me for a while now, and PERSEPHONE’S TORCH TAROT is one of the ideas I've got circling around the concept. Yes, at the moment the plan is for the whole pack to be oriented lengthwise and framed by a stage! Thank you for reading this email! Here's a small reward for your patience!